Olivia Ingram Wins the 2013 “MCSpirit!” Scholarship | "MCSpirit!" 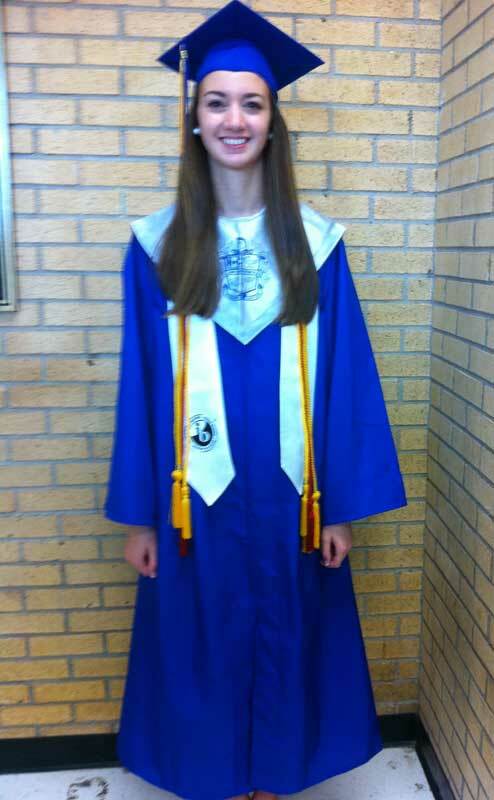 Olivia Ingram, a Hunt High School senior, was awarded the 2013 “MCSpirit!” Senior Scholarship in the amount of $1,000. Olivia captured “MCSpirit!” in many ways, including initiating a club at Hunt High School to promote the Foundation’s mission and awareness. Olivia plans to attend Mary Claire’s alma mater UNC-CH for her undergraduate studies and to major in Chemistry. She hopes to someday perform medical research that will find a cure for not only Mary Claire’s form of leukemia, but other forms of cancer as well. She also plans to become a volunteer in the Mary Claire Satterly Playroom during her time in Chapel Hill. Mary Claire’s story inspired Oliva’s essay which she submitted in her UNC-CH application.